Styled with okinawa short . 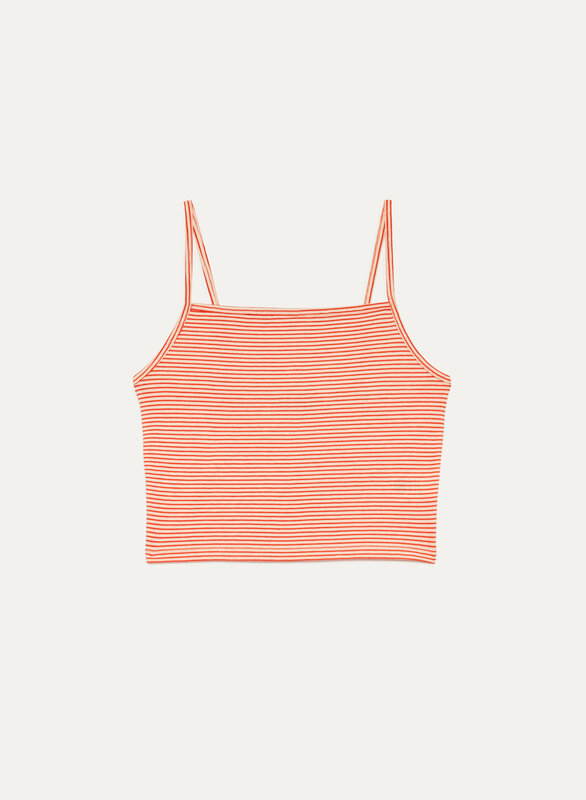 This cropped tank is made with a soft cotton blend and designed with a '90s-inspired square neckline. Pair this striped version with your favourite shorts for an easy warm-weather look.